I have been (and will be) using Click-Clack the Rattlebag by Neil Gaiman with students (years 7,8 and 9) that have Library lessons this week as part of my Halloween and Spooky Stories discussion. 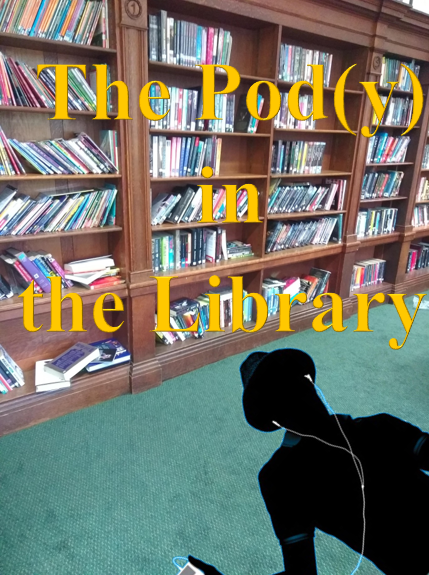 Four classes visited the library today – two year 8 & 9 classes, with each we have discussed Halloween, where the customs of the festival originated, the importance of masks and why people enjoy being terrified with stories. I then turn out the light, make sure everyone is sitting comfortably and push play. It is a very short story, slightly over 10 minutes but the effect has been the same – dead silence during the performance and afterwards the entire class is still and thoughtful, it has taken a few minutes to get discussion going about the story and what they thought about it. This is a great tale, and the effect it has on the audience is almost palpable; it starts out light and gets progressively spookier and darker as the the story progresses. Neil’s voice is almost hypnotic, drawing the listener in to the story and lulls you into a false sense of security and by the time you actually start figuring out what is happening it is too late and the warm languorous feeling that his voice has engendered within you dooms you to the horror of hearing the dark ending and leaves you feeling disturbed and spooked. All in all a perfect tale for a Halloween evening spent terrifying your friends and family! 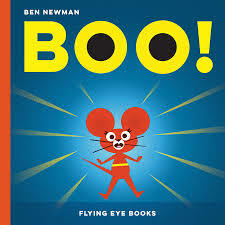 Ok this book is aimed at younger readers but it gets a review as I am a bit of a Ben Newman fan! Mostly down to his illustrations of the Professor Astrocat books! No one is as brave as me and nothing, I mean nothing, scares me… YOU’LL SEE! How anyone can pick up a book that he has illustrated and fail to be impressed by his artwork I will never know (mainly because everyone I have met that has also read his works are also fans)! Boo! is a circular tale of terror and how even those that think they are the bravest ever have something that will make them jump! Perfect for reading out loud to groups of small children or just on a one to one basis Boo! is a story that can inspire fright or audience interaction during reads and rereads. One day, Morpie, a mysterious pale girl, appears at school. 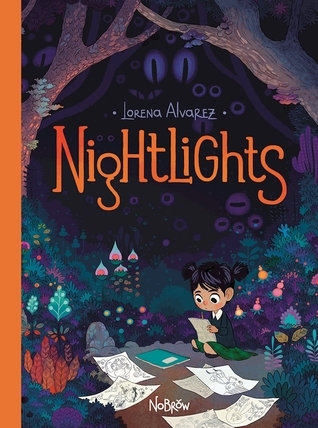 And she knows all about Sandy’s drawings…Nightlights is a beautiful story about fear, insecurity, and creativity, from the enchanting imagination of Lorena Alvarez. It is hard to categorise Nightlights, an achingly beautiful graphic novel about a young girl, her imagination, school, friendship, belonging and a spiral into terror with phantasms coming to life to steal away her away for her creative spirit. This is another book by Nobrow a publisher that is rapidly becoming known for the wonderful aesthetics and physical beauty of the books they publish as well as the quality story-telling found on the pages. Nightlights is a nigh perfect work of art! Lorena Alvarez is a superlative artist and the story she has crafted and created is a wonder to behold! I have read Nightlights several times and each time I turn a page my eyes catch something new, there is so much detail I can lose ages just staring at the pages! You need this book in your lives! 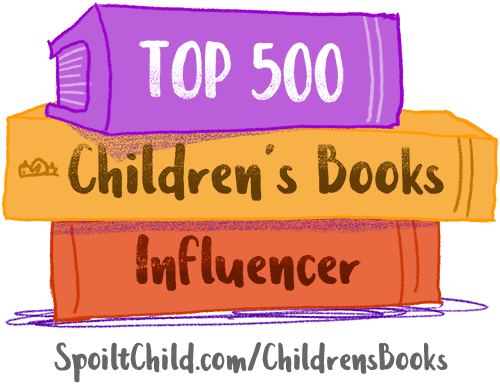 It is suitable for readers of all ages and will make a wonderful (and creepy) shared reading experience if you have any small readers in your lives! I have to make a confession: this review post is a year late! I do have a really good reason though, on Halloween last year my daughter was two days old and everything that I had planned to do went out the window in the run up to (and after) her birth so to Leo I do apologise, this has been weighing on me since then as 13 Days of Midnight is a truly excellent book and creepy as hell! It was one of the few books I broke my ban on reading non Carnegie & Kate Greenaway books for last year and I have no regrets! It worked as a chilling break and I loved it! Seriously if you want a book to keep you up all night and give you chills down your spine then 13 Days of Midnight is it! …and not want to read the book itself! There is a sequel out already titled 8 Rivers of Shadow and, the third book 7 Trees of Stone is also on the way! So grab a digital copy and start your Halloween reading tonight or find a bookstore and get a physical copy and maybe you can start reading it on Dia de Muertos! For many people of a certain age (if you grew up in or after the ’90’s), Tim Burton’s The Nightmare before Christmas is the quintessential Halloween movie! For many years in the circles that I move in the title has been a topic of discussion when all others have been exhausted – the main bone of contention being why is it Tim Burton’s when it was directed by the awesome Harry Selick. I recently learned the answer, and a very prosaic one it is at that! Tim Burton had actually written and illustrated a picture book of the same name and I am lucky enough to own a new edition with more illustrations, it is to put it simply: GLORIOUS! Told in rhyming verse it is the story of Jack Skellington, his search for meaning beyond Halloween and how his journey takes him to Christmas Land and the near ruination of everything. If you have seen the film you will know the story but to read it and gaze upon the illustrations by Tim Burton takes it to another level! The illustrations are wonderful, sketchy and skeletal but imbued with a vitality that makes them leap off the page (sadly it is not a pop-up book). Truly The Nightmare before Christmas is the perfect book for Halloween AND Christmas! You should get it now – in fact get two, one for YOU and one for the rest of your family or friends! This is something I have known for a very long time but it can sometimes be difficult to persuade small boys and also many adults that this is a statement of fact (see Donald Trump for more information). The women in this book didn’t set out to be thought of as ‘great’. They achieved extraordinary things simply by following their hearts, talents and dreams. They didn’t listen when people said they couldn’t do something. They dared to be different. And some of them couldn’t resist a crazy adventure, or three. Wonder Women by Sam Maggs and illustrated by Sophia Foster-Dimino is an amazing collection of 25 biographies of wonderful women from around the world and back through time. Five phenomenal chapters detailing Women of Science, Women of Medicine, Women of Espionage, Women of Innovation and Women of Adventure show that although it may have been a man’s world, women have been at the forefront of the action, discoveries and adventure even though their contributions have, at times, been overwritten by patriarchal society. 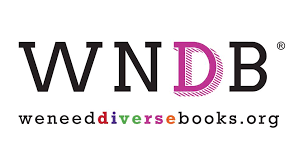 Written in a humorous and engaging style Wonder Women is perfect for dipping in and out of for interest and education and is also gripping and interesting enough to read from beginning to end with no drop of interest. Both of these books should be in all Libraries and possibly, if the publishers read this sent to Donald Trump to help educate him and expand his sadly limited world-view. Members of the House of Lords, including Lord Bird, founder of The Big Issue, Baroness Rebuck, chair of Random House UK and Baroness Hollins, founder of social enterprise Books Beyond Words, will this week debate the importance of libraries, independent bookshops and booksellers in the UK. The debate, which will be opened by Lord Bird – his second balloted debate – will be held in the House of Lords on Thursday 13 October. “Given the fundamental importance of literacy in efforts to prevent and dismantle poverty, I firmly believe that they need continued support from both central and local government across the UK. I am asking that measures such as rates and taxes be lessened for bookshops in order to keep them buoyant, and that the UK Government sets a clear vision as to how it will promote, improve and strengthen our vital public library service. This debate on Thursday will be an ideal opportunity to raise awareness of the current challenges that libraries, independent bookshops and booksellers face – and to set out a plan as to how we can best safeguard their long-term future. Lord Ashton of Hyde will respond on behalf of the Government. The debate is expected to start at some point after 2pm on Thursday 13 October. Members of the media and public are welcome to attend. A full list of speakers to date can be found at www.lordswhips.org.uk. A list in the order in which Members will speak will be available on the day. The debate can be watched live at www.parliamentlive.tv and a transcript will be available approximately three hours from the start of the debate on Hansard. Today is Ada Lovelace Day, if you still do not know who she was or what the day is about check out this post from a few years ago. ALD is centred around remembering Ada Lovelace as well as celebrating the advances women have made in STEM subjects historically as well as encouraging more young women to get involved in them now. As a feminist icon celebrating Ada Lovelace Day can be more than putting together a display on careers, great women of technology or even fantastic science fiction written by women. Why not branch out and do something crafty in the Library, Quirk Books has a fantastic book called Crafting with Feminism, stuffed with 25 Girl-Powered Projects to Smash the Patriarchy. Needlework has long been considered a dainty art for well-behaved women, but we think it could use a 21st-century update. Bring some fresh ’tude to homespun wisdom with these fun and fierce wall hangings. 2. Place fabric in the embroidery hoop, positioning the slogan in the center. Pull fabric taut and firmly secure hoop. 3. Separate 3 strands of embroidery floss. Use them to thread the embroidery needle, then knot one end. Starting from the underside of the fabric, poke the needle through so that it comes up on the side of the first letter in your saying. Take a big stitch over the letter and bring the needle down on the other side of the letter, so that the thread wraps over the letter’s surface. Bring the needle up again just underneath your first stitch, and repeat this stitch process to cover the whole surface of the letter in long stitches (A). 4. When you’ve finished with one color of floss, secure the thread on the back of the fabric: bring the needle to the back of the hoop (B), then slide the needle through previous stitches and pull thread so it is caught underneath your stitchwork. Trim excess thread, then rethread needle with a different color and repeat steps 3 and 4 to cover remaining letters. 5. Trim excess fabric around the hoop. Display proudly. Excerpted from Crafting with Feminism: 25 Girl-Powered Projects to Smash the Patriarchy by Bonnie Burton. Reprinted with permission from Quirk Books.